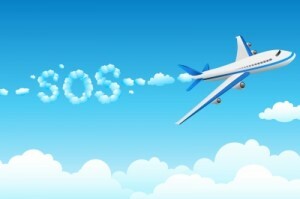 There might come a time when you’ll end up taking your baby on a plane. This might be to a family event, a visit to friends, or even a much-needed vacation. Certainly having a baby shouldn’t prevent you from leaving your own city or even your own country, but pretty much all parents agree that it can be very difficult to travel with a baby. This is especially true if the baby starts crying during the flight. Fortunately, many of the same things you do to make baby stop crying in your own home can also be used on a plane: holding the baby in your arms, rocking, or singing a favorite song. But there are also some strategies you can use to keep your baby from crying so much that will make the trip easier for you and everyone around you. Remember that the pressure changes that make adults’ ears “pop” after takeoff and before landing are going to affect babies even more. Plan for this by feeding your baby at around these times—this will help keep their ears clear during the periods when they are likely to start hurting. If you are breastfeeding, bring a nursing cover, light blanket, or some other cover you can use to give you and the baby some privacy. Also bring a pacifier for your child if you use one, and be sure to give it to him or her as the pressure starts to change. If your baby is old enough to imitate you, you can also show him or her how to yawn, which will help clear their ears. Try to keep your baby amused or occupied to keep their mind off any pressure they may be experiencing. This discomfort caused by pressure is the primary thing (in addition to all the usual causes) that makes babies cry on airplanes, but there are things that may cause discomfort and stress. Since you will probably have to either pay for a separate seat for your baby’s car seat or hold them the entire time, bring a sling, baby carrier that you can wear on your front, or portable baby carrier for your child. Make sure to bring some of his or her favorite toys (but not loud ones!). 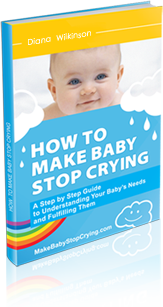 It’s very important to remember that if you are stressed and rushed, your baby is more likely to cry. So make sure to give yourself plenty of time to get to the airport and through security. Make a list of what you’ll need to pack, and pack in a way that gives you easy access to the things you’ll need to grab from your carry-on quickly (IDs, toys, pacifier). It’s tough to figure out how to stop a crying baby when everything you usually use is buried at the bottom of your carryon in the overhead bin. Traveling with a baby can be tough, but the way to make the flight as painless as possible is to be prepared!